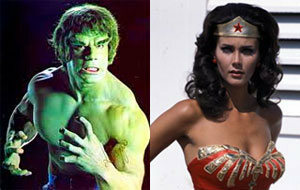 The Hulk or Wonder Woman: Who’ll Make It [Back] To TV First? So, DC/Warner Bros. is talking about bringing Wonder Woman back to television screens, and now Marvel has entered the fray with news of a possible new Hulk TV adaptation. But who’ll make it to TV first? Sounds like time for a poll to us!